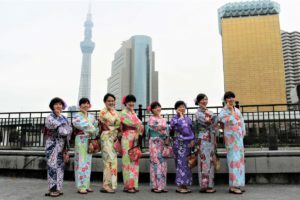 This time we had a group customers from Taiwan and 3 Japanese models to experience Yukata! It only took one and half hour to finish the dress-up and hair-design for 72 people! 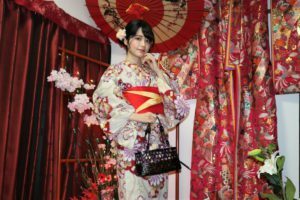 You can choose whatever type of Kimono you like. 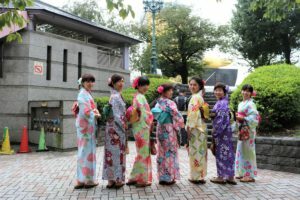 the beauty of Yukata could still made them feel like wearing the traditional Kimono. 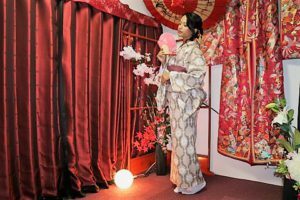 If you want to experience the Traditional Kimono, now it’s the right time and weather! we can provide very quick service and recommend the right plans for you! 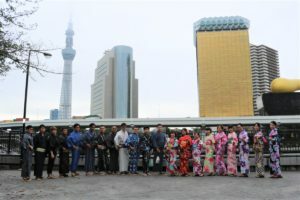 Let’s take a walk around Asakusa with Kimono!